Alumna Joey Egan was at a family breakfast in El Dorado, Kansas, when her 20-day-old nephew stopped breathing. Egan’s sister, Kristen Greene, was holding baby Wilder when she noticed he wasn’t breathing. Egan remained calm and tried to stimulate Wilder to breathe by flicking his feet. When he didn’t respond, she took off his onesie so she could see his chest and began giving him rescue breaths. 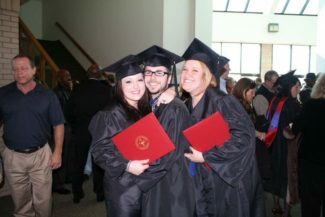 Joey Egan (left) celebrates her 2011 graduation with friends Adam Harding and Kirsten Frazier. Looking back, Egan said it would have been difficult to stay focused on saving Wilder if she hadn’t had her past experience in health care. 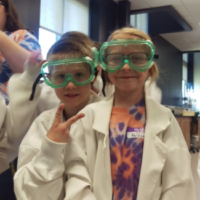 Egan has worked in the respiratory care department at Saint Louis Children’s Hospital for five years. 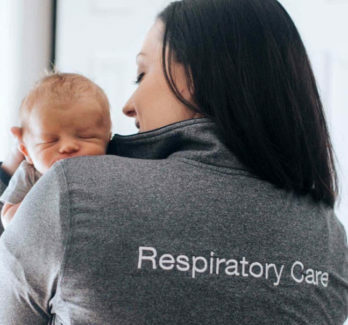 She started as a staff therapist and was promoted last year to the respiratory care program lead in the Newborn Intensive Care Unit. 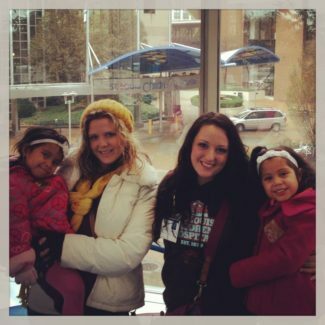 Joey Egan stands with her sister and two oldest nieces by the children’s sign at Saint Louis Children’s Hospital. 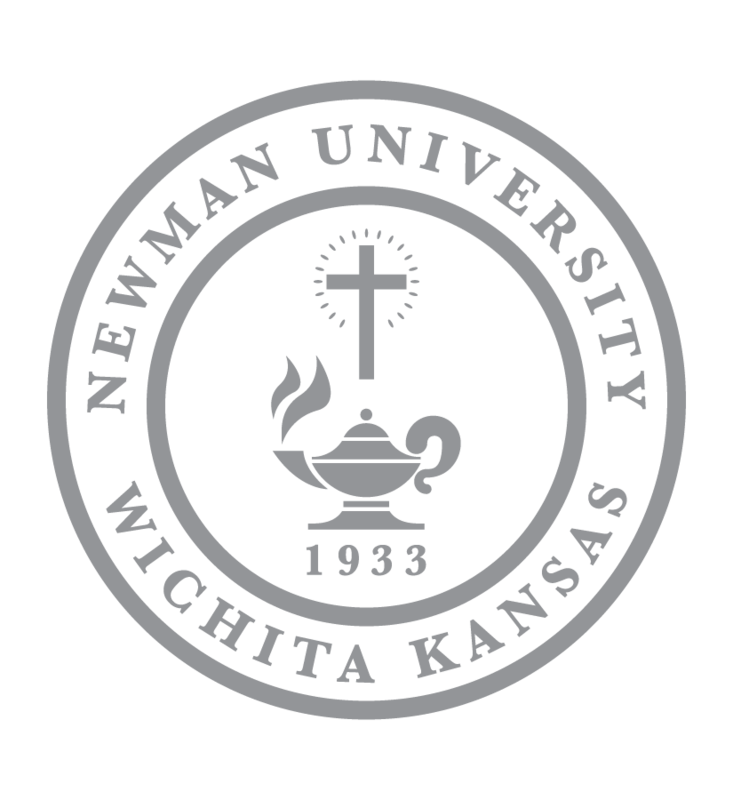 Egan is a 2011 graduate of the Newman University respiratory care program. 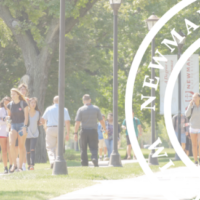 She remembers being held to a higher standard during her time as a college student at Newman, which is something she is grateful for, she said. Some of Egan’s most treasured friendships were made at Newman. She remembers having late night study sessions in Dugan Library, inventing goofy mnemonics with her classmates to help memorize the difficult medical terms and study materials. “There are about six of us that still keep in contact and randomly reach out for advice about work,” she added. While Wichita will remain one of her loves, Saint Louis will always be Egan’s home, she said. 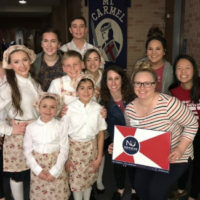 Egan is currently working on sleep study research with Washington University and plans to return to Newman in the near future to speak alongside a campus recruiter to respiratory, pre-med and nursing students.